Syrian lawyer and human rights defender Mazen Darwish, in an undated photo taken from the website of the Syrian Center for Media and Freedom of Expression (SCM), https://scm.bz/, on Feb. 26, 2015. 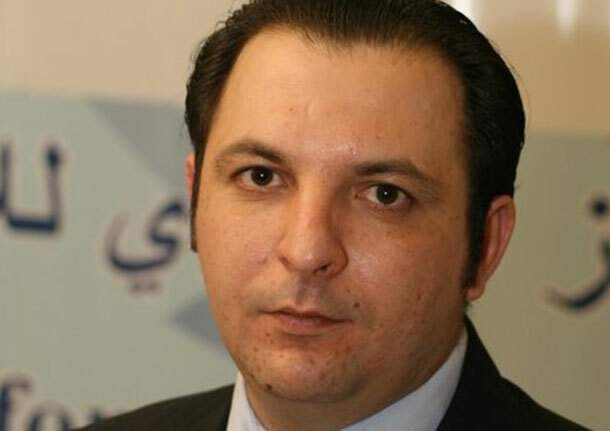 The International Press Institute (IPI) today named as its 67th World Press Freedom Hero prominent Syrian lawyer and human rights defender Mazen Darwish, who has advocated for media freedom in his country for more than 10 years, and for the last three from behind bars. IPI also announced Mexican journalists’ network Periodistas de a Pie (Journalists on Foot) as the recipient of its 2015 Free Media Pioneer Award, pointing to the group’s groundbreaking efforts in working to protect and improve journalists’ safety. Both awards, which are supported by Copenhagen-based International Media Support (IMS)*, will be presented during a special ceremony on March 28 in Yangon, Myanmar during IPI’s annual World Congress and General Assembly. IPI’s World Press Freedom Hero Award honours journalists who have made significant contributions to the promotion of press freedom, particularly in the face of great personal risk. IPI Interim Executive Director Barbara Trionfi said Darwish was chosen based on the “remarkable bravery” he has displayed in supporting media freedom in Syria, currently one of the most dangerous countries in the world for journalists. Darwish echoed those comments this week in a message from prison conveyed to IPI by his wife, Yara Badr. Darwish is the founding president of the SCM, formed in 2004 to protect media freedom and support journalists’ rights. Under his direction, the group regularly reported on free speech violations and journalists’ working conditions, collected and publicised the disappearances of bloggers and media figures, and advocated for legal reform. Darwish also served as editor of Mashed al-Suri (syriaview.net), an independent news website that SCM operated until it was blocked by Syrian authorities in 2006. In 2007, authorities revoked Darwish’s passport and in early 2008 he was sentenced to spend 10 days in jail after being arrested while covering riots in Damascus’ suburbs. Following the outbreak of the current Syrian conflict in 2011, he was a major source of information for foreign media until February 2012, when Syrian Air Force Intelligence raided SCM’s office and detained Darwish and 15 others. Darwish was held separately from his colleagues and is believed to have endured ill-treatment and possibly torture. In August 2012, it was reported that he was to be tried in secret by a military court, and the Geneva-based International Commission of Jurists expressed concern that he could face the death penalty without any right to defence, appeal or review. Despite the Syrian government’s June 2014 announcement that political prisoners would be granted amnesty, Darwish, who reportedly has been convicted of no charge, remains in prison. In related news, Periodistas de a Pie representative Marcela Turati told IPI today that the group was “very honoured” to receive the 2015 Free Media Pioneer Award “and very happy that our efforts since late 2006 are seen with affection and admired by others”. The Award recognises news or media organisations that have made innovations that have promoted news access or quality, or benefitted journalists and the media community. 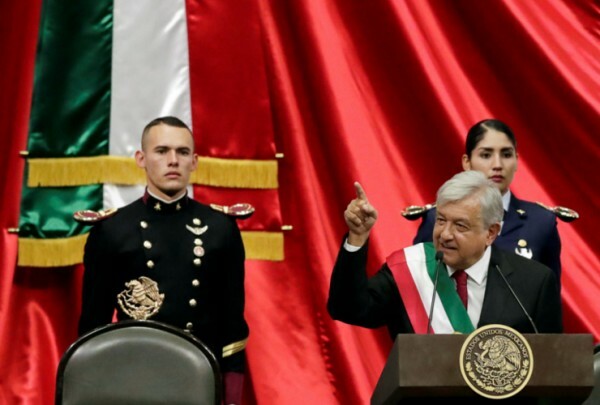 Turati welcomed the Award as an encouragement for Periodistas de a Pie to continue its work amid the bleak press freedom situation that Mexico has seen in recent years. “It is a little respite to many years of collective work in which we sometimes had to bury colleagues and are always in a constant search for new strategies so that not a single journalist more is threatened, killed or physically attacked, and so that crimes against the press are not seen as normal,” she said. Founded as the level of violence against Mexican journalists was skyrocketing, Periodistas de a Pie initially focused on training journalists in covering poverty and other social issues. Today it also assists journalists in dangerous locations and provides workshops on a host of issues, including how to report on violence and drug trafficking; ensuring digital security; and precautions to take in order to protect emotional health. The group also seeks to confront impunity for violence against journalists and has participated with international organisations in a number of studies and fact-finding missions. 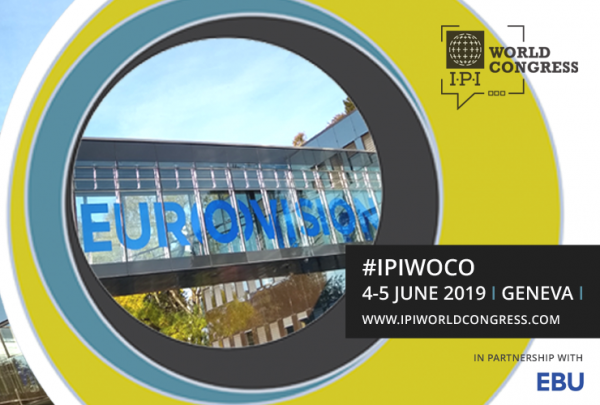 Registration for IPI’s World Congress and General Assembly is still open. More information, including the full programme, is available at 2015.ipiworldcongress.com. IPI is a global network of editors, media executives and leading journalists dedicated to furthering and safeguarding press freedom, promoting the free flow of news and information, and improving the practices of journalism. Formed in 1950 at Columbia University by 34 leading editors from 15 countries on the belief that a free press would contribute to the creation of a better world, IPI today includes members in more than 120 countries and holds consultative status with the U.N. and the Council of Europe. >> For more information, contact IPI Senior Press Freedom Adviser Steven M. Ellis by email or at +43 (1) 512 90 11. *This statement was corrected on Feb. 28, 2015 to note that both the 2015 World Press Freedom Hero Award and the Free Media Pioneer Award were supported by IMS.